What many IT leaders see as a logical approach to securing the cloud is applying the same defense practices as with local resources. However, traditional tools were not designed to include scalable environments, and are insufficient in meeting your expansive security needs. Fortunately, there are several new types of cloud-based security products, offered as a service, which can mitigate cloud computing risks. 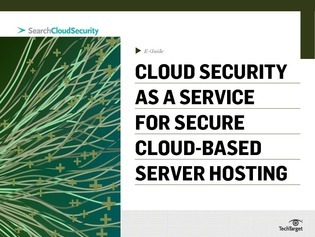 In this e-guide, expert Joseph Granneman looks at cloud security as a service options like encryption and identity management, and how these features offer better insight into security operations.